Higgins made this last year at school, and it is super cute and easy to do! It makes a great decoration too. We kept it in the the guest bathroom for while before Higgins snuck it back into his room for safe keeping. 1. 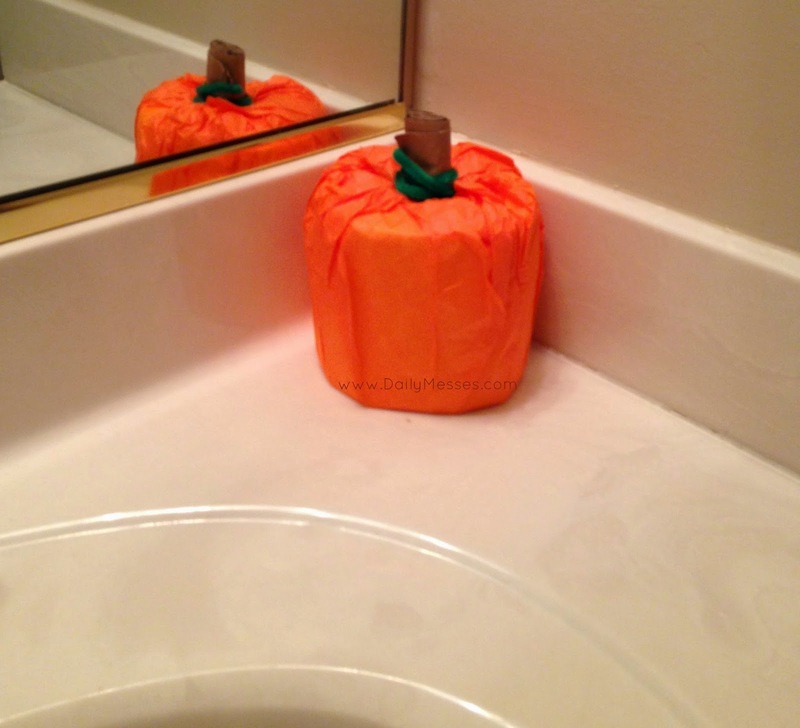 Wrap the tissue paper around the toilet paper roll and tuck the ends into the open center of the roll. 2. Roll a brown paper bag to create the stem and stick into the open center of the roll. This also helps keep the ends of the tissue paper in! 3. Wrap the green pipe cleaners around the stem to create leaves/vines. DM Tip: You could even glue on googly eyes or cut out pieces of construction paper to create a jack o'lantern face.